Tá aifreann ar siúl an Satharn seo, 02/11/2013, ag a 6.30pm agus ní 6:00pm mar a luadh cheana. Ná déan dearmad a thabhairt ar anpaidríní. The First Holy Communion preparation mass is at 6.30pm on Saturday 2nd Nov 2013 night and not 6pm as previously noted on the handouts. Don’t forget to bring the rosary beads. Ar cúiseanna dosheachainte is gá dáta an Chéad Comaoineach '14 a athrú ón 17ú Bealtaine '14 (17/05/2014) go dtí an 24ú Bealtaine '14 (24/05/2014). Tá súil agam nach gcuireann san isteach oraibh ró-mhór agus theastaigh uaim an méid nóitís ab' fhéidir a thabhairt daoibh. Due to unforeseen circumstances it is necessary to change the date of the First Holy Communion celebration mass from the17th May '14 (17/05/2014) to the following week the 24th May '14 (24/05/2014). I wanted to give you as much notice as possible and I hope this doesn't interfere too much with your plans for the day. Both nuacht sources are also available by "liking" us on Facebook or "following" us Twitter. Tá spásanna fós ar fáil agus tá fáilte roimh col ceathracha leis na bpáistí nó leanaí eile nach bhfreastalaíonn ar an scoil chomh maith. €50 páiste amháin, €90 beirt páistí, €120triúr páistí. Gnáth éadaí a bheidh á gcaitheamh ag na leanaí. Is féidir leo gleasadh suas ar an nDéardaoin nó an Aoine más mian leo chomh maith. Beidh dhá sos i gceist i rith an lae, mar sin beidh lón agus deoch ag teastáil uathu. There are still some spaces available, cousins and friends of children outside of the school are also welcome, so spread the word! €50 for one, €90 for two siblings, €120 for three siblings. The children are to wear their normal day to day clothes. 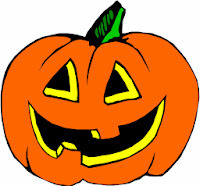 They also have to option of dressing up in their Halloween costumes on Thursday and Friday. There will be two breaks throughout the day, so the children will need a packed lunch and a drink. Mar is eol daoibh ta an Chéad Aifreann eile, 'Déanaigí é seo i gcuimhne ormsa' ar siúl ar an 2.11.2013, thar an bhriseadh Meán Téarmach. 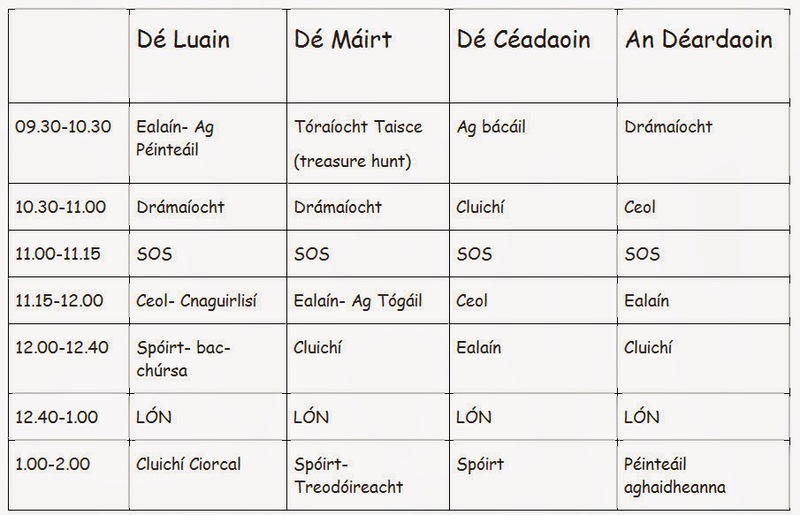 Beidh paidrín ag teastáil ó gach leanbh. Táim ag seoladh abhaile bileog bándearg leis na leanaí. 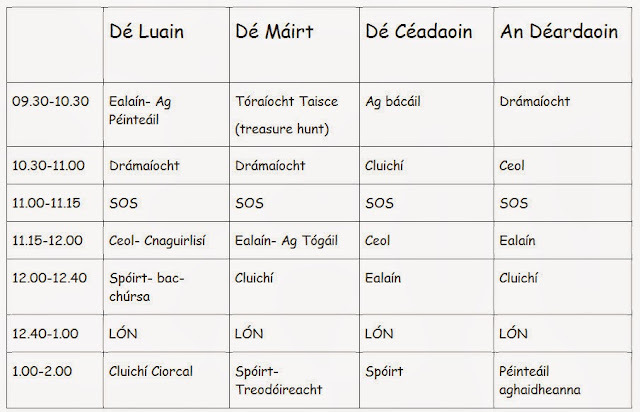 Seo leagan gaeilge des na leathnaigh 30-32. Bí ag cleachtadh iad seo chomh maith. As you know, the next 'Do this in memory of me' mass is on 2nd November 2013, during the Mid-Term break. Every child will need a rosary beads. Practise the responses in English with them from pages 30-32 of their Thumb Book. I am sending home a pink sheet with the children. This is the Irish version of the pages 30-32. Practise these also. 'Siad Carol Uí Chéilleacháin agus Grace Uí Chruallaíoch ionadaithe na dtuistí i gcóir an 2014 Chéad Chomaoineach. Carol O' Callaghan and Grace Crowley are the parents representatives for the 2014 First Holy Communion. Comh maith le bheith gléasta suas, beidh féasta / cóisir ag gach rang amárach, Dé hAoine 24.10.2013. Beidh cead ag na páistí roinnt milseáin agus cluiche a thógaint isteach ar scoil. Níl cead cluichí ríomhairí / DSI's a thógaint isteach ná aon cluiche / bréagán a bheadh ró-luachmhar mar ní féidir a bheith cinnte nach mbrisfaí iad! Níl cead guma cogainte nó deochanna spraoi ar scoil. 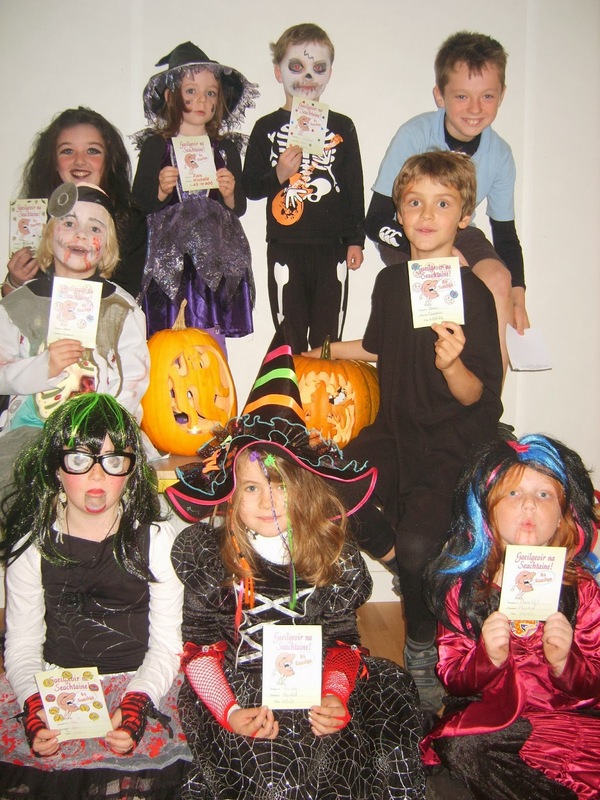 As well as being dressed up, every class will have a party tomorrow, Friday 24.10.2013. The children will have permission to bring some sweets and games in to school. Computer games / DSI's or any expensive games/toys are not allowed because its likely that they would get broken! Chewing gum and fizzy drinks are not allowed at school. The following are suggestions that you might like to take into account before the next 'Do This in Memory' Mass of your child's preparation for First Holy Communion which is on Saturday 2nd November 2013 at 6.30pm in the Parish Church. Read the Grapevine Newsletter, the Gospel reading on it is the one that will be used at the Mass. Encourage your child to read pages 40 and 41 of the Thumb Book and do some colouring. Help your child to join in the responses at Mass. a Pray and do the actions of the Sign of the Cross. b. Priest: The Lord be with you. Response: And with your Spirit. c. At the end of the readings, response: Thanks be to God. d. At the end of the Gospel, response: Praise to you Lord Jesus Christ (Page 30-32 of the Thumb Book). The children will be invited to gather around the Sanctuary to listen to the Gospel and will share in the Homily. Bring child's Rosary Beads for blessing. Tá briseadh mean téarma ag druidim aníos chugainn go tapaidh agus beidh an scoil dúnta an seachtain seo chugainn. Tá sé de nós againn sa scoil cead a thabhairt dos na páistí teacht ar scoil ina n-éadaí oíche shamhna ar an Aoine agus beidh am spraoi acu i rith an lae san chomh maith. I mbliana táim ag iarraidh ar na páistí a thagann ar scoil gléasta suas €2 a bhreith leo. Éinne a thagann ar scoil gléasta cuirfear a n-ainm i gcrannchur le haghaidh na puimcíní móra maisithe atá lasmuigh d'oifig Hilde! Críochnóidh na páistí ag na gnáthamanna 1.30 agus 2.30 ar an Aoine seo (25-10-2013). Ní bheidh leath lá ann toisc gur saoire leath-théarma é seo agus ní deireadh-théarma ar nós um Nollaig, um Cháisc agus laethanta saoire an tSamhraidh. The mid term break is fast approaching and the school will be closed next week. As with every year we will let the children come to school on the last day in their Halloween costumes and they will have some fun that day in school as well. I'm asking the children that dress up to bring in €2. Every child that does this will get a raffle ticket for a chance to win one of the two large carved pumkins that are outside Hilda's office! 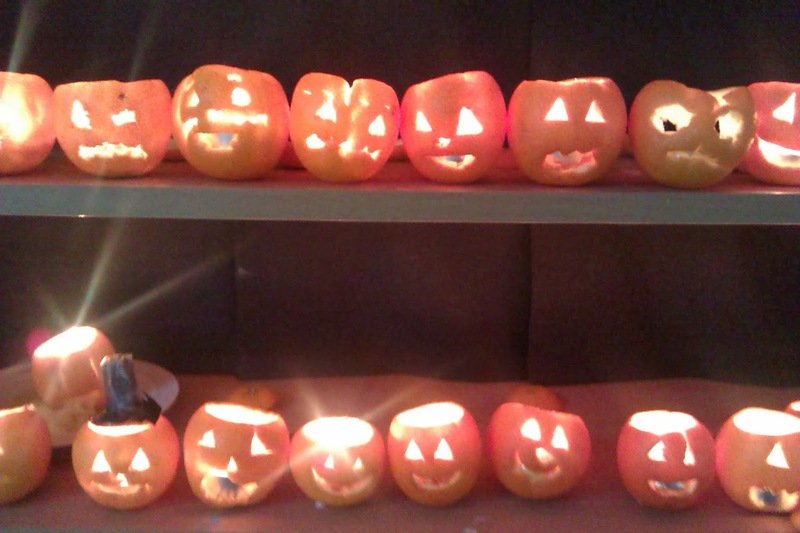 The children will finish at the normal time of 1.30 and 2.30 on Friday 25th Oct 2013. There will not be a half day as this is only half term and not the end of term like Christmas, Easter and summer holidays. De bharr éileamh, táimíd ag cuir fáilte roimh na ranganna Naíonáin anois! Tá fáilte anois roimh gach leanbh sa scoil. Tá na dátaí athraithe anois toisc go raibh pleananna déanta ag ana chuid daoine don Luan, Lá Saoire bainc. Ón Máirt go dtí an Aoine atá sé ar siúl anois, 29-10-13 go dtí an 1-11-13. Due to demand, we are now welcoming the Infant classes! All pupils are now very welcome. We have changed the dates of the camp, to accommodate people's Bank holiday weekend plans. It is now running from Tuesday to Friday, 29-10-13 to the 1-11-13. Bhí cás eile míoltóga ghruaige i Rang Naíonáin Shínsearacha. Ba cheart go scrúdófaí gruaig le bhur bpáistí le bhur dtola, páistí sa rang sin ach go háirithe. We have been informed of another case case of headlice-this time in Senior Infants. Everyone should check their child's hair, especially children in that particular class. Tosnóidh Múinteoir Ciara ranganna Gaeilge i gcóir tuismitheoirí ar an Luan, 4ú Mí na Samhna 2013 ar 7.30p.m. Uair a chloig a bheidh i gceist agus leanfaidh siad ar aghaidh ar feadh 6 seachtain. Beidh costas €45 ar na ranganna go hiomlán. Múinteoir Ciara will start Irish Classes for parents on Monday, 4th November 2013 at 7.30 p.m. Classes will be for an hour and they will continue for 6 weeks. They will cost €45 altogether. Both news sources are also available by "liking" us on Facebook or "following" us Twitter. Scaip an scéal le gach éinne le bhur dtola! Spread the word to all friends and family and get voting please! Campa Samhna - Halloween Camp!!! Le Múinteoir Siobhán agus Múinteoir Ciara. Praghas: €50- páiste amháin, €90- beirt páistí, €120 triúr páistí. Tá fáilte roimh buachaillí agus cailíní ó ranganna 1-5. Beidh réimse mór gníomhaíochtaí ar siúl, bac-chúrsa, tóraíocht taisce, treodóireacht, drámaíocht, ceoil, bácáil, ealaín, spóirt srl. Boys and girls from 1st to 5th class are welcome. Children will enjoy many activities such as a treasure hunt, an obstacle course, orienteering, drama, music, baking, art, sport etc. Seo a leanas sampla den sórt chlár a bheidh á leanúint againn sa champa. Remember PA news is published on the separate site 'Nuacht Eile' which has a separate email subscription service. Tá blitz Haca ag Rang a 2 ar fad (buachaillí agus cailíní) an Déardaoin seo, 17/10/13. I Sáile a bheidh sé ar siúl, ag a 11. Beimíd ag lorg cúpla tuismitheoir chun an rang a tiomáint ann, ag fágaint na scoile ag a 10.45. Beidh sé críochnaithe timpeall a 12.30 ach níl a fhios againn go cinnte fós. Teir i dteagmháil le Hilda más féidir leat tiomáint. Go raibh maith agaibh. All of 2nd class (boys and girls) have a hockey blitz this Thursday, 17/10/13. Its being held in Sáile, at 11 am. We are looking for a few parents who are willing to drive, departing the school at 10.45. It should be finished by 12.30 but this time may change. Please notify Hilda if you are willing to drive. Thank you. Treanáil Peile: RANGANNA A 4 AGUS A 5. Tá comórtas Sciath na Scol thart agus d'éirigh go maith linn. Níl treanáil peile ar siúl amárach, 16/10/13, toisc go bhfuil na páistí ar turas mhata. Beidh an treanáil deireanacha ar siúl an Céadaoin seo chugainn, 23/10/13. Ní bheidh aon treanáil ar siúl i ndiaidh an briseadh Meán Téarma. Beidh treanáil ar fáil do rang a 2 suas i 2014 ó Mí Feabhra ar aghaidh b'fhéidir. Football Training: 4TH and 5TH class. The Sciath na Scol competition is over and the school football team did well. There will be no football training this Wednesday, 16/10/13 because students will be on a maths trip. The final training for this term will be held the following week, 23/10/13. There will be no more training after the Mid term. We will be welcoming 2nd class upwards to training in the new year, 2014, from February onward perhaps. Tá Seachtain Mhatamaitice na hÉireann ar siúl faoi láithir. Ta an scoil cláirithe le páirt a glacadh ann. Beidh gach rang ag cur béim speicalta ar an Mhata don tseachtain seo ach go háirithe. Beidh Rang 4 & Rang 5 ag dul ar turas oideachasúil amárach, an 16ú Deireadh Fómhair '13, chun gníomhaíochtaí Mata a dhéanamh le haghaidh Seachtain na Matamaitice. Beimid ag fágaint na scoile ag a 11.30 a.m. agus beimid thar nais ar 2.30 p.m.
Tá brón orainn nár dúramar é seo libh níos túisce ach níor éirigh linn an áit a fháil go dtí inniu toisc go rabhamar ar liosta feithimh. Níl aon costas ar an dtaispeántas féin ach seol isteach €5 don mbus, más féidir le bhur dtola. This is Maths Week, Ireland. The school is registered to take part in it. Every class is putting a special emphasis on maths this week. 4th and 5th Class will be going on an educational outing tomorrow, the 16th October '13, to do maths activities for Maths Week. We will be leaving the school at 11.30 a.m. and we will be back at 2.30p.m. We are sorry that we didn't say this earlier to you but we didn't succeed in getting a place until today because we were on a waiting list. There is no cost on the exhibition itself, but send in €5 for the bus, if you can, please. Aire Gach Duine / Attention Everyone! Beidh beirt d'ár daltaí, Oscar Ó Laoi agus Seán Ó Cumascaigh (Rang 2), ar an teilifís ARÍS (ach eipeasóid nua) ar 8.25 maidin Dé Chéadaoin seo 16.10.2013 ar TG4. 'Bia Linn' is ea an t-ainm ar an gclár agus cócaireacht a bheidh i gceist. Beidh aththaispeáint ar 3.40 ar an Déardaoin, 17.10.2013. Is féidir é a fheiscint ar RTE player níos déanaí chomh maith. Beimid ag tnúth le sin arís! 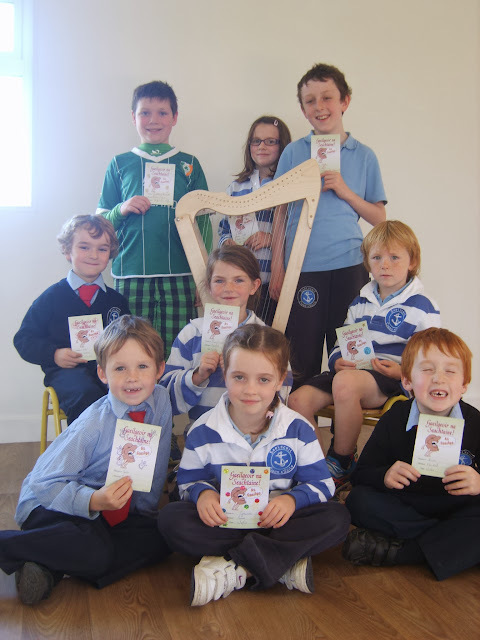 Two of our students, Oscar Ó Laoi agus Seán Ó Cumascaigh (2nd Class) will be on television ARÍS (but a new episode) at 8.25 a.m. this Wednesday morning 16.10.2013 on TG4. The name of the programme is 'Bia Linn' and it is a cookery programme. There will be a repeat of the programme at 3.40 p.m. on Thursday, 17.10.2013. You can see it later on RTE player also. We will be really looking forward to it again! Mí an Mheitheamh seo chaite, d'iarradh orainn páirt a ghlacadh i gclár trí mhean an Ghaeilge ar RTÉ 1. Chraolaíodh an clár inar ghlacamar páirt ann ar an teilifís aréir! Abhainn ab ainm don sraith agus dhírigh siad isteach ar Abhainn an Bhandan aréir. Labhair cuid dár bpaistí agus Múinteoir Siobhán Ní Núnáin. Bhíodar go hiontach ar fad. An rud a tháinig trasna go láidir ná an féin mhuinín agus cé chomh compórdach is a bhí na páistí ag labhairt as Gaeilge -fiú ar an teilifís! Rinneadar an-job de agus táim thar a bheith bródúil astu! Níor tugadh aon réamhfhógra dúinn go mbeadh se ar siúl nó bheadh sé ráite againn libh roimh ré. Munar eirigh libh féachaint air aréir is féidir libh é a fheiscint ar an RTÉ player. Gaelscoil Chionn tSáile abú! 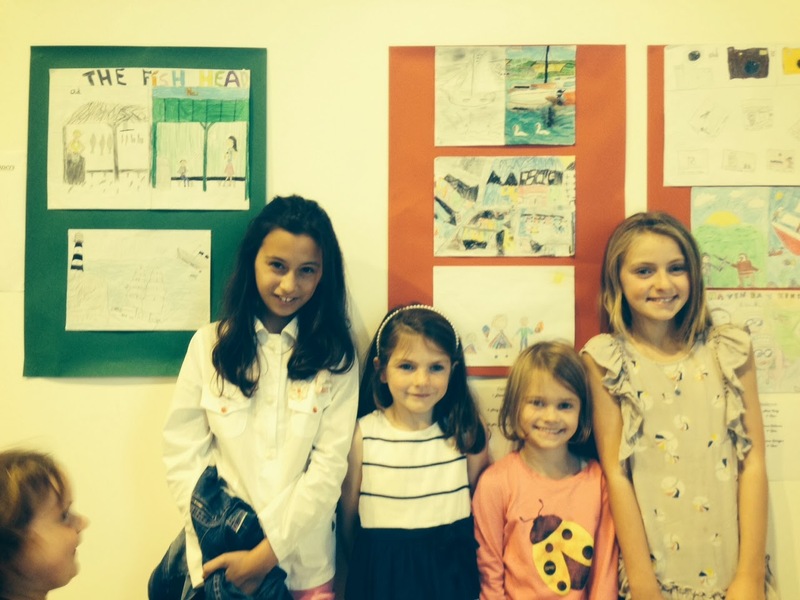 Last June, Gaelscoil Chionn tSáile was asked to take part in an Irish language programme for RTÉ 1. The programme we participated in was broadcast last night! "Abhainn" is the name of the series and they focused on the Bandon river last night.Some of our (now) 5th class children and Múinteoir Siobhán Ní Núnáin spoke on the programme. They did such a great job! One thing that struck me about it was how confident the children were and how comfortable they were conversing in Irish -even on television! They really came across so well and I'm so so proud of them. We weren't given any notice of the programme being aired or we would have told you in advance but if you didn't get a chance to see it you can watch it on the RTÉ Player. Gaelscoil Chionn tSáile abú! Beidh an Chéad Comaoineach ar siúl ar an Satharn, 17ú Bealtaine 2014. Remember PA news is published on the separate site 'Nuacht Eile'. Both news sources are also available by "liking" us on Facebook or "following" us Twitter. Tá fáltaisí i málaí scoile na bpáistí inniu a íoc airgead le Hilda. Coimeád iad le bhur dtola. Receipts have gone home in the childrens' schoolbags of those who have sent in money to Hilda. Please hold on to them. 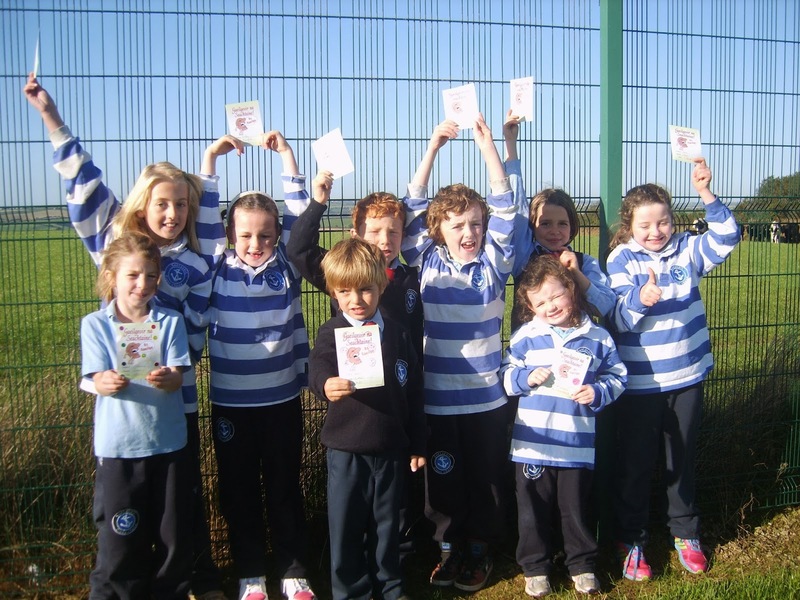 Tá dhá chluiche ar siúl an Déardaoin seo, 10/10/2013 i bpáirc GAA Dripsey, i mBaile an Chollaigh. Beidh siad ag imirt i gcoinne Dripsey National School agus St. Brendan's, Rathcoole. Seo hiad na cluichí deirneacha. Tá buachaillí R4 chun imirt chomh maith ar an bhfoireann. Táimid ag fágaint na scoile ag 11.15 agus ní bheimid ar ais go dtí 3.00. Tá fáilte roimh lucht tacaíochta agus táimid ag lorg tuismitheoirí chun an fhoireann a thiomáint ann. Tá traenáil ar siúl an Céadaoin seo an 9/10/2013 agus caithfidh buachaillí R4 freastal air chomh maith. We have two matches this Thursday 10/10/2013 at Dripsey GAA pitch, Ballincollig. We will be playing against Dripsey National School and St. Brendan's, Rathcoole. These are the last matches. 4th Class boys will also be on the team. We are leaving the school at 11.15 and we won't be back until 3p.m.. Supporters are welcome and we are looking for parents to drive the team there. There is training this Wednesday 9/10/2013 and the boys in 4th Class will have to attend also. Bhí cás eile míoltóga ghruaige i Rang 1 & 2 le Múinteoir Siobhán. Ba cheart go scrúdófaí gruaig le bhur bpáistí le bhur dtola, páistí sa rang sin ach go háirithe. We have been informed of another case case of headlice-this time in Muinteoir Mairéad's 1 & 2nd class. Everyone should check their child's hair, especially children in that particular class group. Beidh an scéim Zippy's Friends á thosnú ag Rang 1 agus Rang 2 an tseachtain seo (07.10.2013). Cúrsaí chun sláinte meabhair dearfach leanaí a fhorbairt. Beidh leabhar eolais á sheoladh abhaile do thuismitheoirí Rang 1. 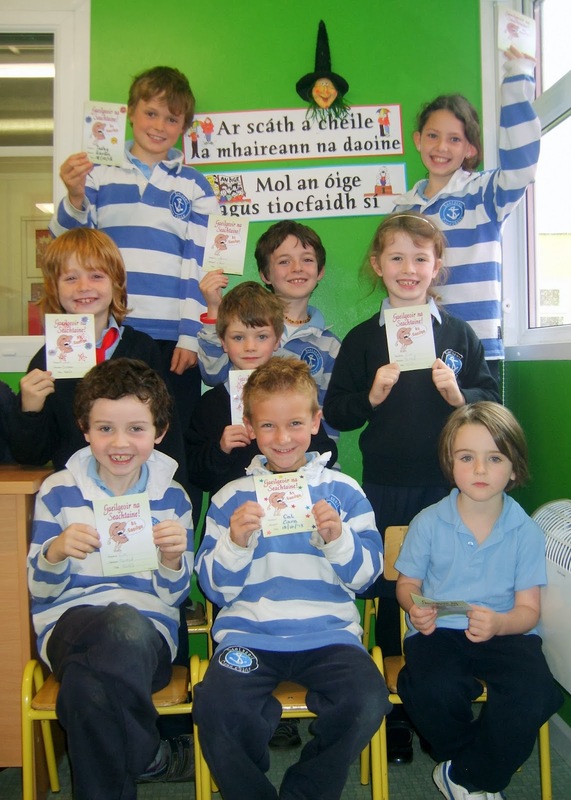 Léigh an leabhar eolais agus seol ar ais chuig na scoile iad roimh an Aoine (11.10.2013). Chomhghairdeas mor le buaiteoiri Comortas Ealaíona an Haven Bay: Alyssa Monkhouse, Mary Clare Ní Mhurchú, Sadbh Nic Seoin agus Ellie Nic an Taoisigh. Maith Sibh a chailíní! Gaelscoil Chionn tSáile Abú! Congratulations to the winners of the Haven Bay Positive Ageing Art Competition. Well done girls! Gaelscoil Chionn tSáile Abú! Remember PA news is published on the separate site 'Nuacht Eile' and both news sources are also available via Facebook and Twitter. Má ta fonn oraibh leabhair a cheannach, líon isteach an fhoirm agus cuir an tairgead ceart ins an clúdach litreach le bhur dtola. If you wish to buy, enter details on sheet and put exact money into envelope provided along with corresponding details on front of envelope. Tuismitheoirí Páistí na Chéad Chomaoineacha/ Parents of First Holy Communion children. Tá aifreann ar siúl an Satharn seo, 05/10/13, ag a 6.30 san iarnóin. Tabhair do theastas Cláraithe leat. Gnáthéadaí a bheidh á chaitheamh ag do pháiste, ní éide scoile. Beidh do pháiste ag suí leat. Gheobhaidh do pháiste beannú ón sagart ag am Chomaoineacha. This Saturday's mass, 05/10/13 at 6.30 pm is marking the beginning of preparation for the First Holy Communion, so please attend. Please sign the enrollment certificate and bring it to mass. Your child can wear their own clothes, do not wear school uniform. Your child will be sitting with you. Your child will receive a blessing during Communion. Anois léigh an litir atá shíos a sheol Fr. Young chugainn le bhur dtola. Please now read the following letter from Fr. Young outlining other important information. The Enrollment of your child for First Confession and First Holy Communion will take place at the 6.30pm Mass on Saturday evening, 5th October 2013. This is a special moment when your child is presented to God and to the local community in preparation for these Sacraments. Please read Thumb Book, pages 5 – 9 before the Mass and bring the book with you to Mass. Please bring the Enrolment Certificate that your child will have received in school to the Mass. Arrive ideally at least about 10 minutes before Mass and sit towards the front of the Church. You will sit with your child. The Enrolment Ceremony will take place after the Homily. At Communion time your child will come with you for a Blessing. The children have been taught in school to cross hands over their chests, bow and the Priest will pray over your child. A Blessing is asking God's help and protection. The Enrolment Mass is also the Parish Mass. Please be sensitive to others who are the regular attendees and for whom this is their weekly Mass. After Mass please collect the following at the altar…..
4 The Grapevine: a special newsletter for parents. Read it and follow the guidelines in order to help your child prepare for the Sacraments. 4 Prayer of Blessing for your Sacred Space. 4 Candle for your Sacred Space.